One of the many dangers faced by women is domestic violence in relationships. In my home country of Jamaica a total of ten women have been murdered by their partners in a little over two weeks. This is alarming. 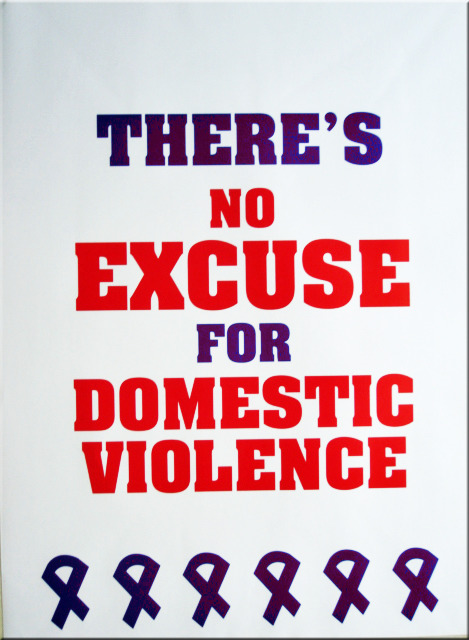 Domestic violence is one of the most difficult crime to contain because in many cases you don’t know beforehand that it is going to happen. The onus therefore lies on the woman to take preventative measures to protect her life. If the man you are considering having a relationship shows signs of abusiveness or is known to have been abusive in a previous relationship stay clear of him. If he hurt you physically, even if it is one time do not give him the opportunity to put his hands on you again. Do not believe him if he tells you it will never happen again because in most cases it will. The longer you remain in an abusive relationship the more power you give to the man and the more difficult it will be for you to end the relationship. It’s so sad to think that women have to go through all this pain. Sad indeed what is even more sad is that I read a facebook post where a man was implying that maybe the women were doing something wrong why they are getting killed…a sad case of victim blaming. Ohh that’s a shame. We don’t need men like that anywhere near us. All the power to women all around the world. Exactly so because it is he kind of mentality that is getting women killed. Thank you for your imput. What you say is so important women need to chose wisely about who they life with as their lives may dedend upon it. Will certainly check out your posts.